Hollywood moviemaking is one of the constants of American life, but how much has it changed since the glory days of the big studios? David Bordwell argues that the principles of visual storytelling created in the studio era are alive and well, even in today’s bloated blockbusters. American filmmakers have created a durable tradition—one that we should not be ashamed to call artistic, and one that survives in both mainstream entertainment and niche-marketed indie cinema. 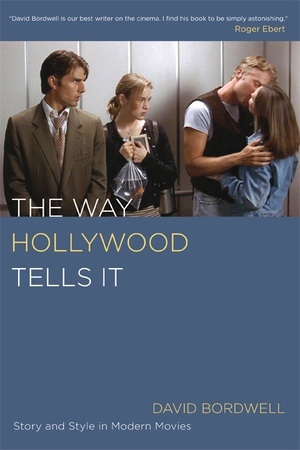 Bordwell traces the continuity of this tradition in a wide array of films made since 1960, from romantic comedies like Jerry Maguire and Love Actually to more imposing efforts like A Beautiful Mind. He also draws upon testimony from writers, directors, and editors who are acutely conscious of employing proven principles of plot and visual style. Within the limits of the “classical” approach, innovation can flourish. Bordwell examines how imaginative filmmakers have pushed the premises of the system in films such as JFK, Memento, and Magnolia. He discusses generational, technological, and economic factors leading to stability and change in Hollywood cinema and includes close analyses of selected shots and sequences. As it ranges across four decades, examining classics like American Graffiti and The Godfather as well as recent success like The Lord of the Rings: The Two Towers, this book provides a vivid and engaging interpretation of how Hollywood moviemakers have created a vigorous, resourceful tradition of cinematic storytelling that continues to engage audiences around the world. David Bordwell is Jacques Ledoux Professor of Film Studies and Hilldale Professor of Humanities at the University of Wisconsin-Madison. Among his books are Figures Traced in Light: On Cinematic Staging (California, 2004), Film History: An Introduction (with Kristin Thompson, 2002), Planet Hong Kong: Popular Cinema and the Art of Entertainment (2000), and On the History of Film Style (1997).